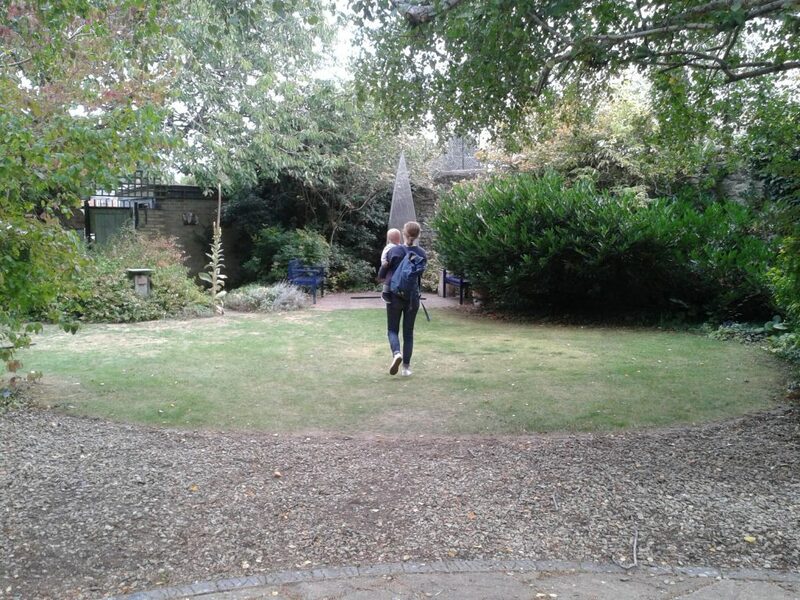 I visited the Turrill Sculpture Garden to measure the space for the Garden Dance performance on Saturday 29 September. 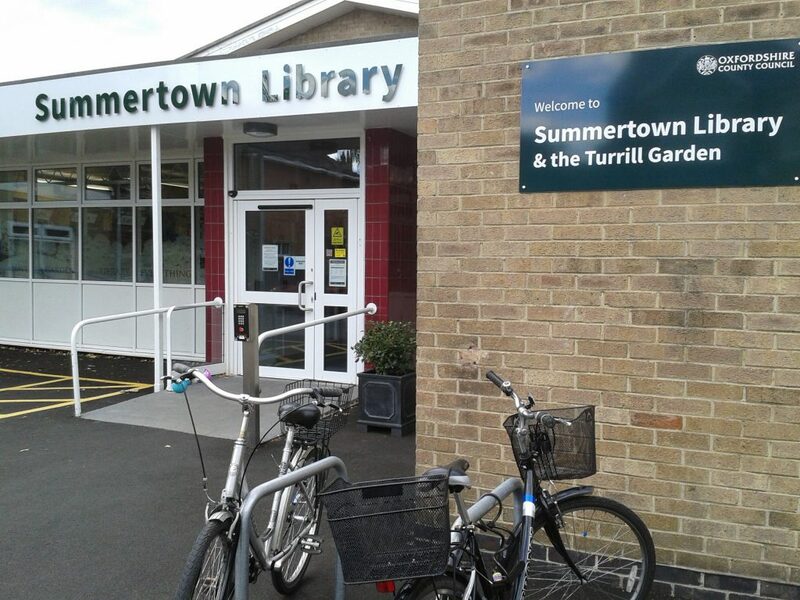 The Turrill Sculpture Garden is actually the garden of the Summertown public library in Oxford. 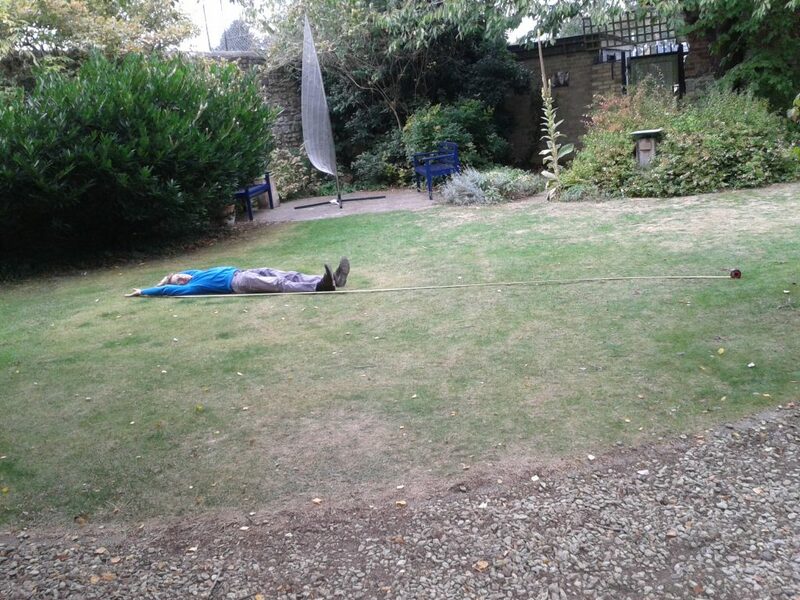 It’s a great space for Oxford Contact Dance’s Garden Dance. 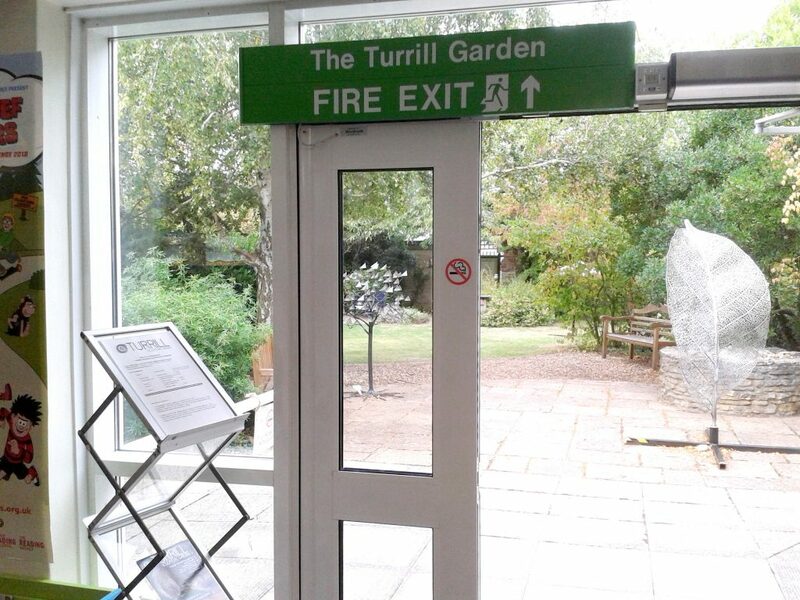 The rear door of the library leads out into the Sculpture Garden. This is the lawn where the performance of the Garden Dance will take place. 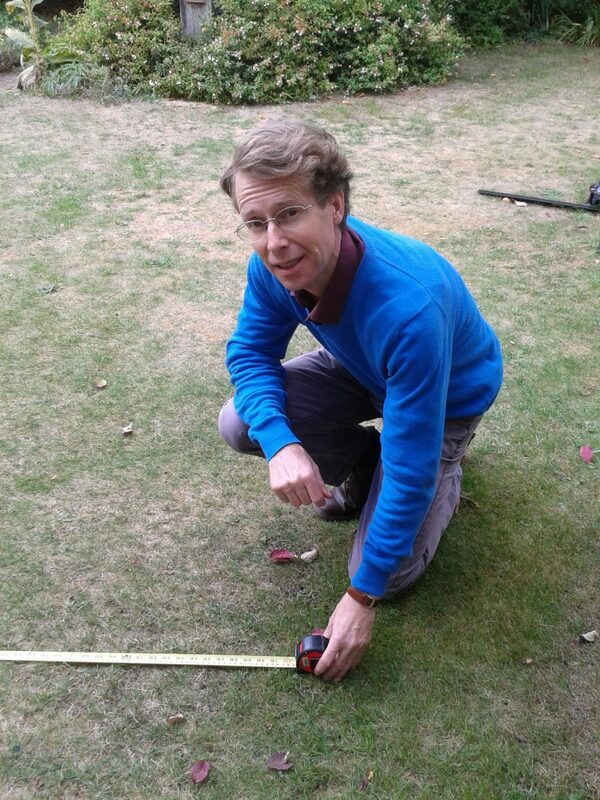 I measured the lawn and performance space with a tape measure. 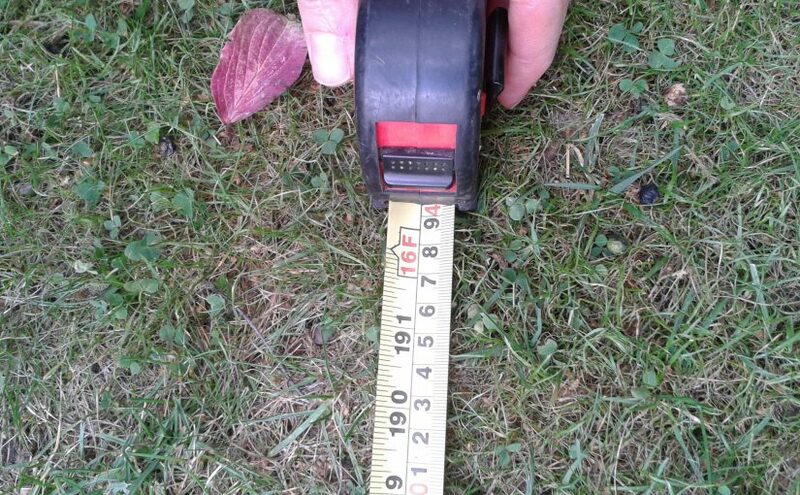 It was wider than the whole length of the tape measure at about 5 meters across! It’s actually quite a big space!